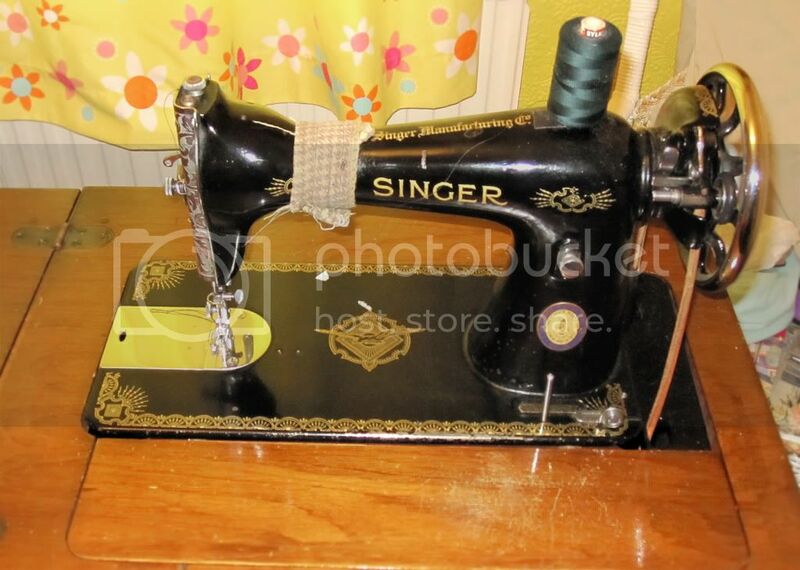 Mum's vintage Singer sewing machine is 61 years old! Singer sewing machines are celebrating their 160th birthday this year, with an invite to trace the history of your Singer sewing machine. My mum inherited my grandmothers sewing machine and it's still going strong. So I thought I'd trace it's history. It's a treadle machine, which means it's powered by working a footplate rather than electricity. There's definitely a knack to this, I've only ever managed to sew backwards on it........ooops. As well as being environmentally friendly it also gives a good leg work-out, mum's got some shapely calves! After typing the serial number into Singer's database I was told the machine was made in 1950 and some further digging indicated it had been made at the Clydebank factory in Scotland. These antique machines are built to last, it's had the occasional service and belt change...and still works like a dream after 60 years. It can plough through layers of heavy material and it all folds away into a lovely wooden cabinet. Mum remembers my grandmother making her school clothes on the machine back in the 1950's, and mum recently made her grandaughter a skirt with it, isn't it amazing that the sewing machine has connected our family across the generations?! Many sellers asks the potential buyer to get a serger instead of a sewing machine, but a serger is not actually able to do all kind of conventional stitches. I too have one. Don't know what year it is. I haven't used it in a few years. But made my kids Halloween costumes with it. Always love using it.